You make fabulous futures happen! Please help us provide scholarships for future PHS graduates. Donate today! to deserving, graduating seniors of Pewaukee High School. 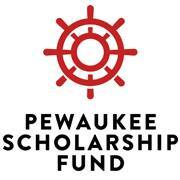 The Pewaukee Scholarship Fund, Inc. is a 501(c)(3) non-profit charitable organization registered with the state of Wisconsin.